Optiplex SFF 4 pin multicard reader. 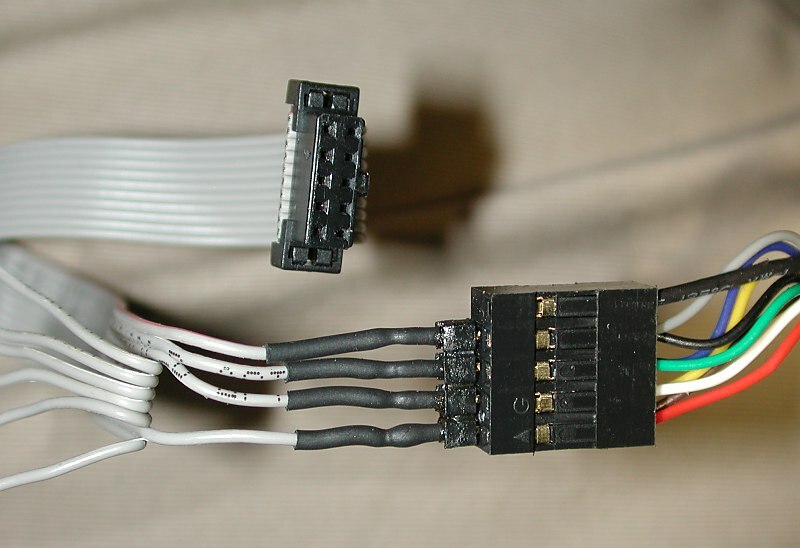 I am looking to install a multicard reader that i have lying around, and it is 4 pin, but I'm not entirely sure which one it is supposed to go inside. If anybody knows how to the proper place to put it in please advise me! RE: Optiplex SFF 4 pin multicard reader. 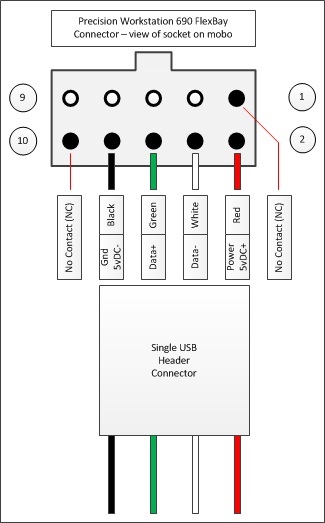 edit: I was looking closer at the documentation online, and the correct place to put it seems to be #11 Internal USB connector. Only problem with that is that it shows a 9 pin male connecter on the motherboard. But one of the rows is 4 and a blank to the right, I can't see why this wouldn't work, but just trying to get confirmation before hand so i don't blow it up. The connector is keyed with 10 pin connector because its easy to reverse power and ground. 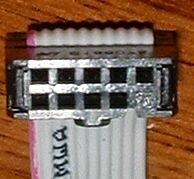 The Red stripe indicates Pin1. Dell does not provide and will not provide pinouts.